Please note that most of the buses may only wait up to 20 minutes at the immigration checkpoint. Please take your luggage with you as they need be scanned in the immigration clearance process. 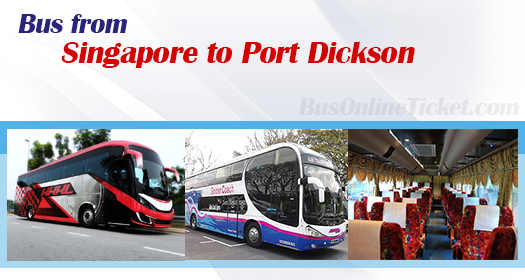 Bus from Singapore to Port Dickson is one of the favourite routes for locals, visitors and tourists because of Port Dickson distinctive and relaxing beach resort. Port Dickson's location is adjacent to the beach and a bit off from the main city Seremban and main road north south highway, bus is the only convenient transport to go from Singapore to Port Dickson. The bus fare for bus from Singapore to Port Dickson is at SGD 35.00. Usually passenger will buy return service at SGD70 because of limited bus service. Please note that bus fare will usually go up to as high as SGD50 per way during the festive season and long weekend.